A Democratic PAC plans to spend $3 million in a last-minute effort to help save New Jersey Sen. Bob Menendez in a tight race in the deep blue state just weeks before the Nov. 6 midterm elections. The news comes as Menendez and his Republican opponent Bob Hugin’s race is tighter than expected, as Menendez was ahead in the polls by just over 7 points as of Tuesday, according to Real Clear Politics. The Senate Majority PAC is set to spend the $3 million dollars on a T.V. advertisement attacking Hugin for allegedly spending his own money on his campaign. The advertisement will reportedly be aired state-wide and will mention the amount of money he earned while working for a pharmaceutical company. “Bob Hugin is a Trump sycophant who is funding his campaign off the millions he made raising prices on cancer drugs as a pharma CEO,” Chris Hayden, a Senate Majority PAC spokesman, said to The Hill. 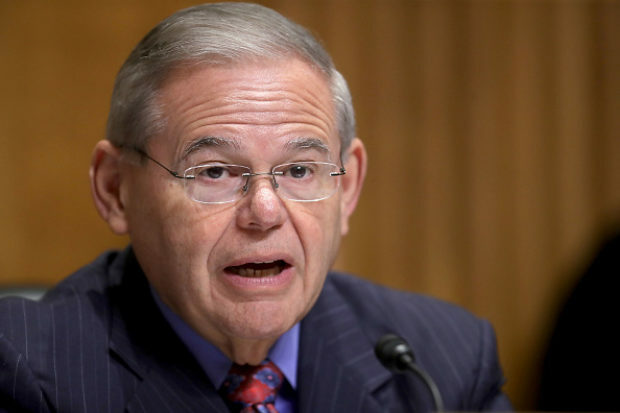 The donation also comes one day after Menendez was called out as a “hypocrite” in an ad released by his Republican opponent Bob Hugin for believing Justice Brett Kavanaugh’s sexual assault accuser even though Menendez faced allegations of sexual relations with minors.